One of the smash hits from 2016 was LUV by Tory Lanez, a smooth R&B/dancehall track that had the energy to fill a dance floor. 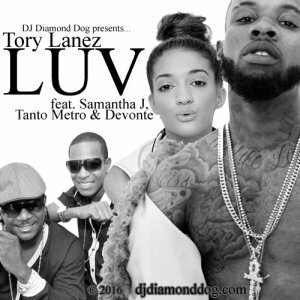 Although LUV peaked at #19 on the Billboard Hot 100 for Tory Lanez, it was actually a remake from Tanto Metro & Devonte's 1997 version which was entitled Everyone Falls In Love. The rabid remix of this hit features vocals from the original version by Tanto Metro & Devonte as well as Jamaican dancehall artist, Samantha J. This is a great remix to combine 2 different eras nearly 20 years apart. Be sure to take a minute to sample LUV (rabid remix) by Tory Lanez and also download it for your personal music collection. With Christmas right around the corner, I'm hoping to get a few more tracks out before the end of the year... to keep them parties poppin'. Thanks for the support and be sure to share the link djdiamonddog.com with all your friends. First of all, I want to apologize for not dropping anything over the past 2 months. I've had serious family matters that have been being addressed. Now, on to the music!! Two iconic hits from 2 iconic eras smash paths in this high energy mashup. 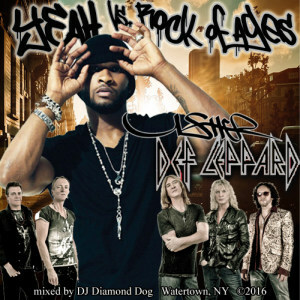 Whether you're a classic rock/hair band metal lover or a hip hop/R&B/crunk listener, this one has it all. It all starts with the well known intro from Def Leppard's Rock of Ages....Gunter gleiben glauchen globen... which means exactly what you thought it meant, nothing at all. Then, bring in some funky crunk bass from the smash hit in the 2000's, Yeah by Usher... and now you've got something to work with!! Yeah vs. Rock of Ages takes the best of both worlds and fuses them together flawlessly, giving you a classic 80's feel with that new age bass. This is a perfect mashup for any open format parties or venues. So, please, check this one out by streaming it directly and be sure to download it for your music collection. The download comes via zip file, so please contact me, either by email or through facebook, if you have any problems downloading this latest mashup. The download also contains the regular clean radio version as well as a clean extended version for the DJ's. I'm getting back at it. I'm gonna be working hard to get some more great mixes out before the end of the year. Thanks so much for the patience and the support!! And don't forget, you can always get more great mixes at djdiamonddog.com.